FC Schalke 04 begin their UEFA Europa League campaign against OGC Nice in Group I on Thursday (kick-off: 21:05CEST/19:05GMT). Take charge of your favourite Schalke players on the Official Fantasy Bundesliga now! The Royal Blues have lost their opening two Bundesliga matches of the new season without scoring, but summer signing Naldo is confident his side can take something from the game at the Stade de Nice. "Nice have really improved over the summer," the former VfL Wolfsburg defender opined. "It won't be easy, but I'm a positive, level-headed guy and I know what we're capable of. We showed that for long spells against Bayern. When we are compact and brave, we can force the opponents into errors and get a positive result." 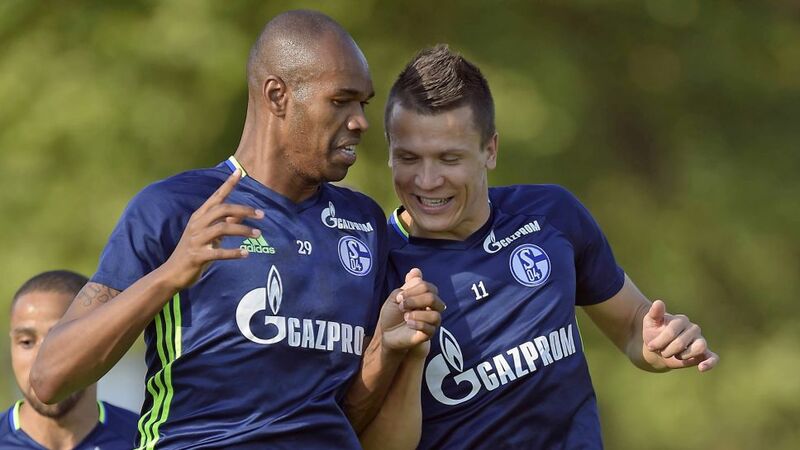 Naldo's buoyancy is shared by Switzerland international forward Breel Embolo. The 19-year-old is still finding his bearings at the Gelsenkirchen-based club following his summer transfer from FC Basel 1893, but has no doubt that the ideas of new Schalke head coach Markus Weinzierl will begin to bear fruit before long. "The coach has taught us a new philosophy, which has been well received by the team," Embolo told www.uefa.com. "We'll need every player, including those not in the starting line-up, to put the coach's ideas into practice and to show that mentality when it's required [...] I think we'll gain in confidence and if we play well domestically and can carry that form into the Europa League then anything is possible." As ever, advancing to the next round is the minimum requirement for a Schalke side that have successfully negotiated the group stage in three of their last four attempts. Weinzierl also has history in the competition, having steered FC Augsburg into the Round of 32 in their debut European campaign last season. "We have a difficult but very favourable draw," admitted Schalke goalkeeper Ralf Fährmann, casting an eye over a group that also contains Austrian champions FC Salzburg and Russian outfit Krasnodar. "They're all teams that want to play in the Champions League. It's tougher than last year, but our aim is to reach the knockout stages." Schalke are unbeaten in their last six European away games (W4 D2).Schalke striker Klaas-Jan Huntelaar is one goal shy of his 50th in UEFA club competition.The Royal Blues' record against French opposition reads W3, D2, L2.Nice coach Lucien Favre oversaw 228 Bundesliga matches during spells with Hertha Berlin and Borussia Mönchengladbach. The Swiss tactician's record against Schalke reads: W6, D2, L6.Nice defender Dante made 202 Bundesliga appearances for Borussia Mönchengladbach, FC Bayern München and Wolfsburg.Nice midfielder Younes Belhanda registered one goal and two assists whilst on loan at Schalke last season.